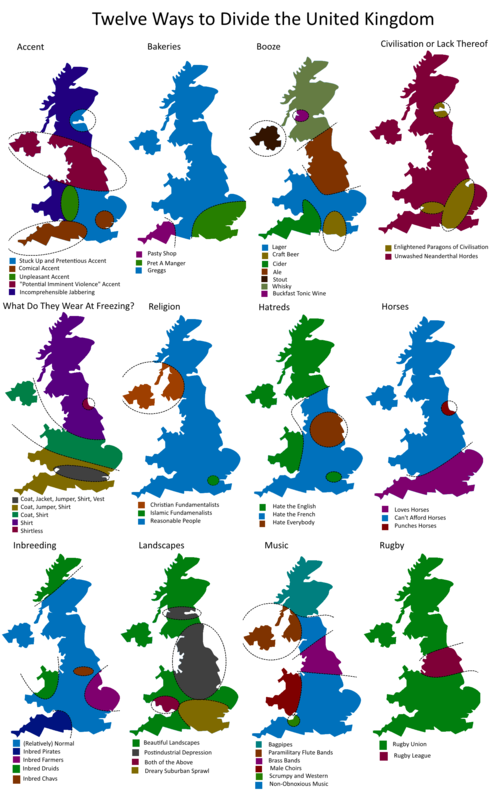 The 12 maps above are a tongue-in-cheek look at the various ways the UK is divided besides Brexit or how to pronounce scone. And before anyone complains, they are meant to be humorous and should not be taken too seriously. 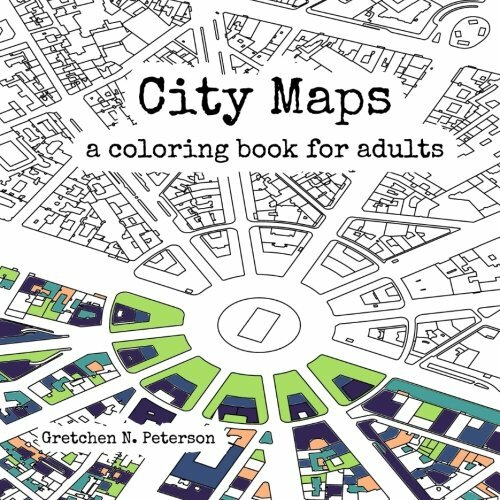 The map, geography, travel and city inspired adult coloring books below are a great gift for any map lover who already owns an amazing world atlas, a spectacular scratch map and all the best map based strategy board games. 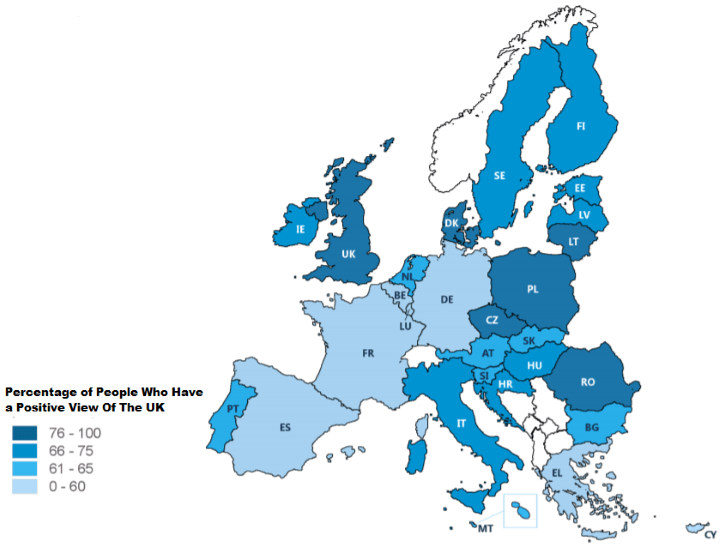 The map above shows the percentage of EU citizens in each member country who have a positive view or image of the United Kingdom. The survey data was taken in September and October 2017, so should take into account any feelings about Brexit. 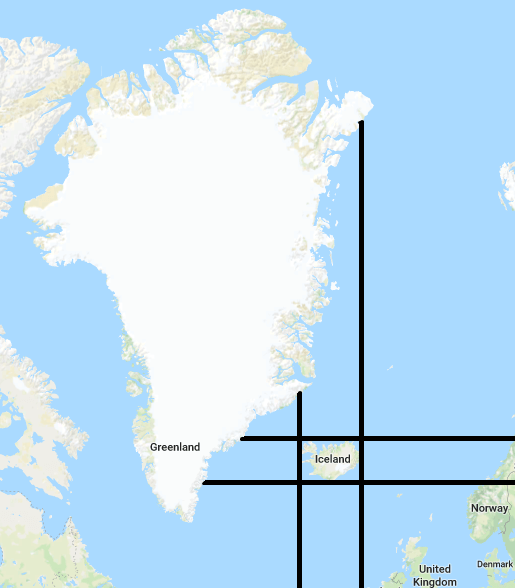 The map above shows an somewhat interesting geographical fact: Greenland is farther east, west, north, and south than Iceland. The map above shows Europe’s capital cities by coats of arms or emblems. 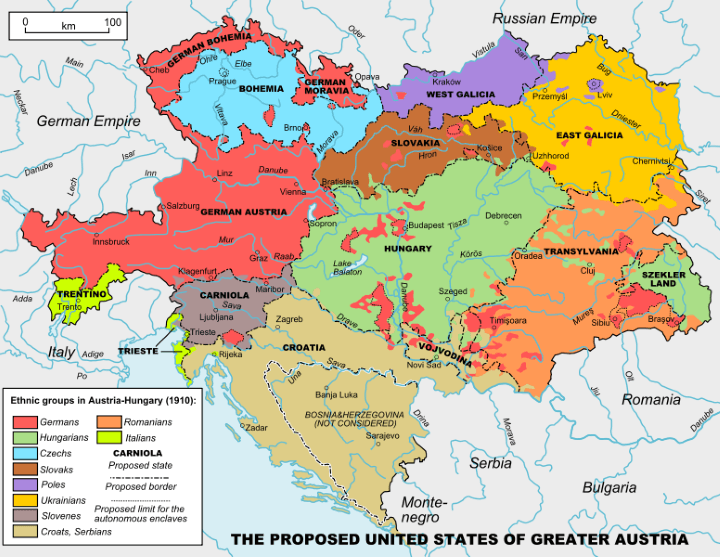 The map above shows what a United States of Greater Austria might have looked like. 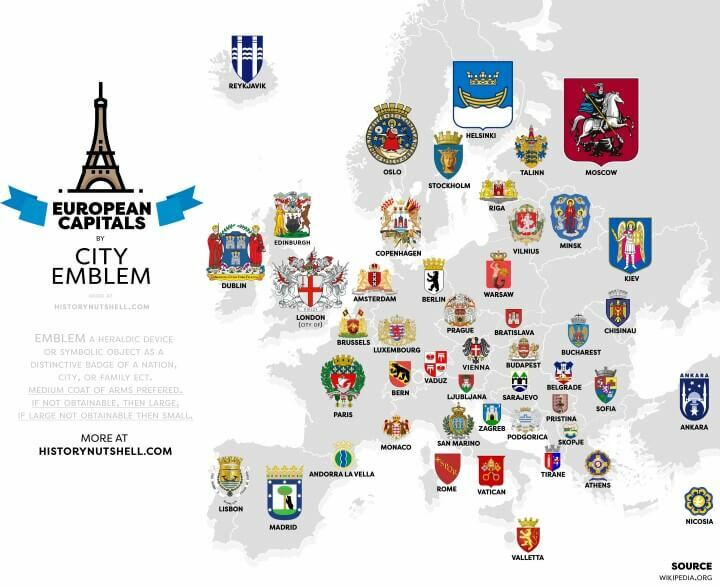 It’s based a proposal conceived by the lawyer and politician Aurel Popovici in 1906. The proposal has been superimposed on a map of the ethnic groups of Austria-Hungary in 1910 which is based on “Distribution of Races in Austria-Hungary” from the Historical Atlas by William R. Shepherd, 1911. 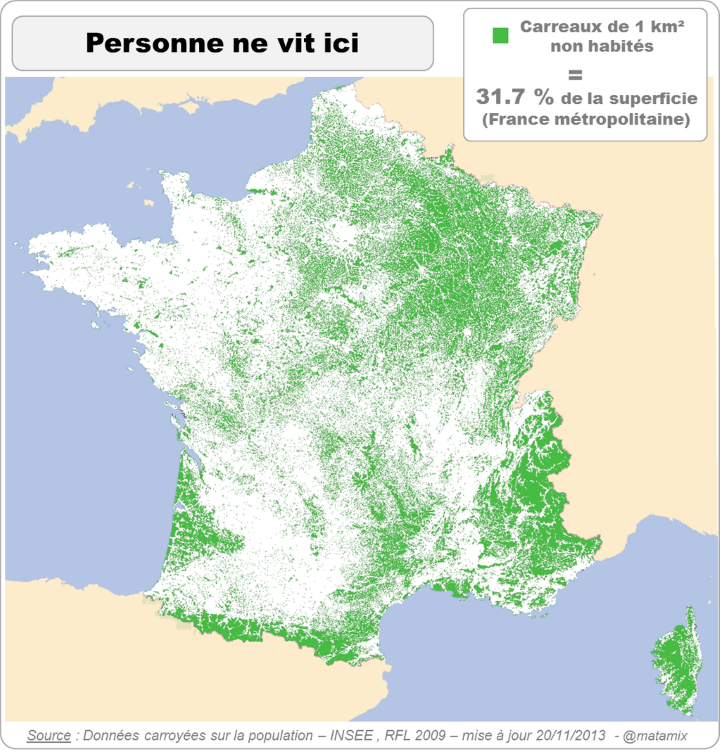 The map above shows where nobody in France lives, based on 1km2 squares. In total, 31.7% of metropolitan France is uninhabited. 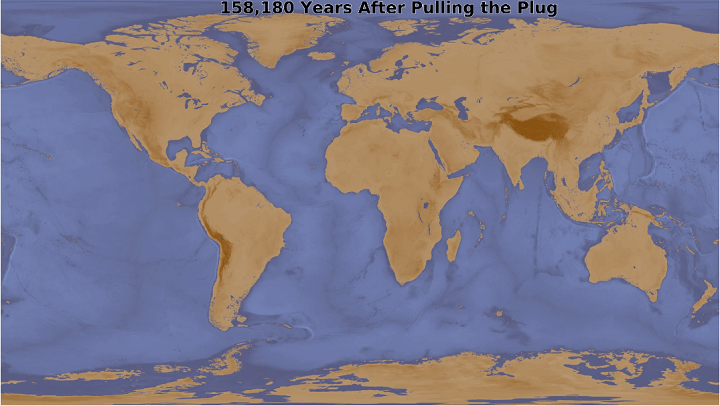 The map above shows what the earth would look like 158,180 years after someone pulled a 10m plug in the Mariana Trench allowing all the water to drain away. 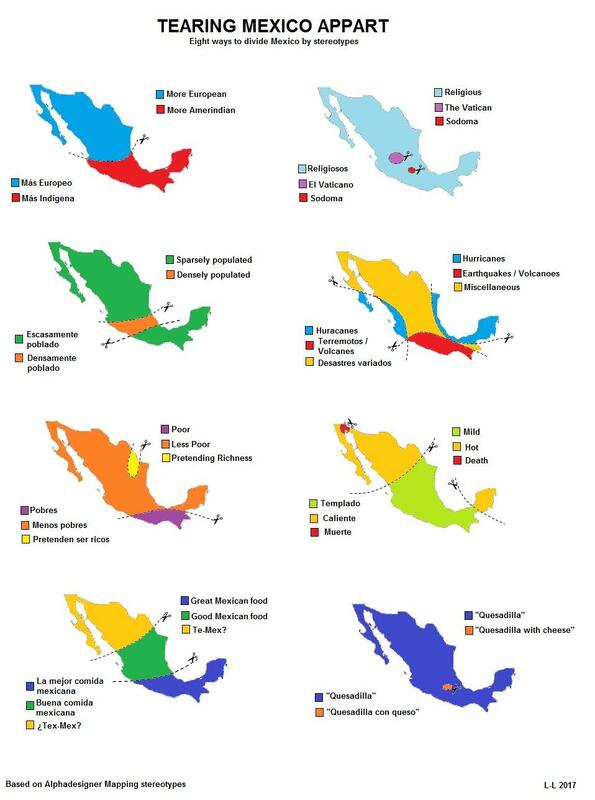 It was inspired by a map that appeared in What If? by Randall Munroe. 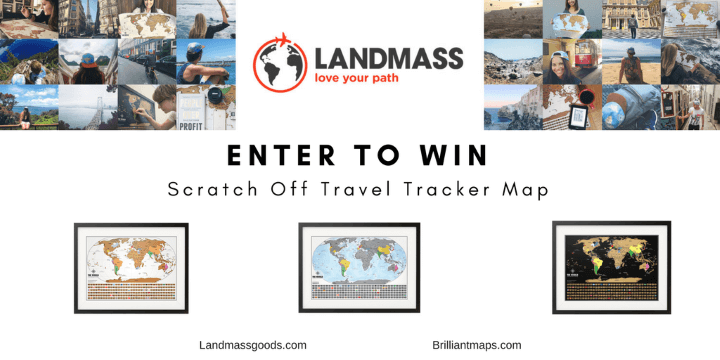 Landmass are very generously giving away 3 of their beautiful world scratch maps, exclusively to readers of Brilliant Maps.